9 TIER LAYER SEAFOOD TOWER @ JB DON"T SAY BO JIAO!! You are at:Home»Cuisines»9 TIER LAYER SEAFOOD TOWER @ JB DON”T SAY BO JIAO!! 9 TIER LAYER SEAFOOD TOWER @ JB DON”T SAY BO JIAO!! Friends who love seafood must be friends with the best seafood tower ever! In Johor This Charcoal Grill Seafood Carbon Seafood Museum specially launched an unprecedented nine-Layer Seafood Tower, each floor is filled with full seafood, with clams, shrimp, the fish, all kinds of fresh seafood I’ll let you eat one at a time! But it is obvious that this nine-Tier Seafood Tower is not finished, so I must call my aunt and uncle to eat together! 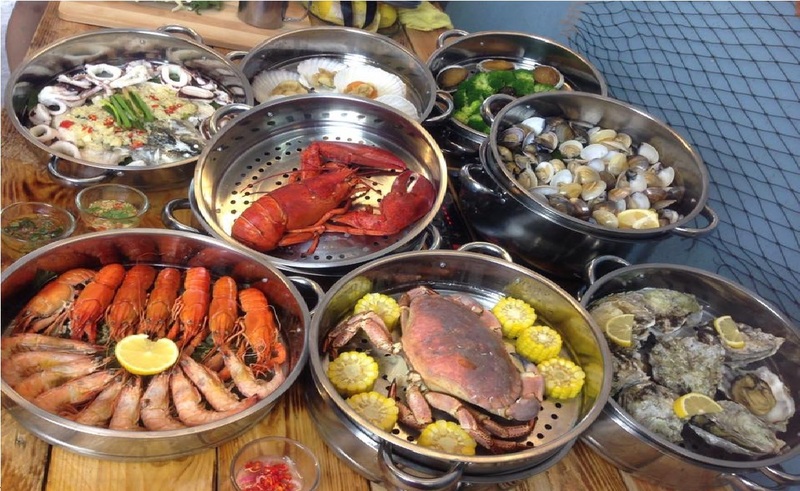 10 people’s nine-Tier Seafood Tower, the price is rm428, remember to call first! De zhǐ ： 18 Jalan Bestari 3/2, 81300 Taman Nusa Bestari, JOHOR SKUDAI, JOHOR, Malaysia. Previous ArticleSOMEONE USING CAR PARK AS TOILET AT SEMBAWANG.